Now that spring has finally sprung, I can’t wait for green grass and leaves on the trees! Since I live in Minnesota, we have to wait quite a while for these signs of spring outside. While I patiently wait, I’m going to bring some spring into my home. My favorite ways to do this is with food and plants. 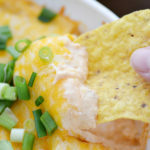 I’ve combined them both with this easy spring appetizer in which I’m planting the seeds of RITZpiration! I love having an herb garden year round. Not only is it much cheaper than purchasing herbs for specific recipes, but they are just beautiful. I try to always have at least two or three available. 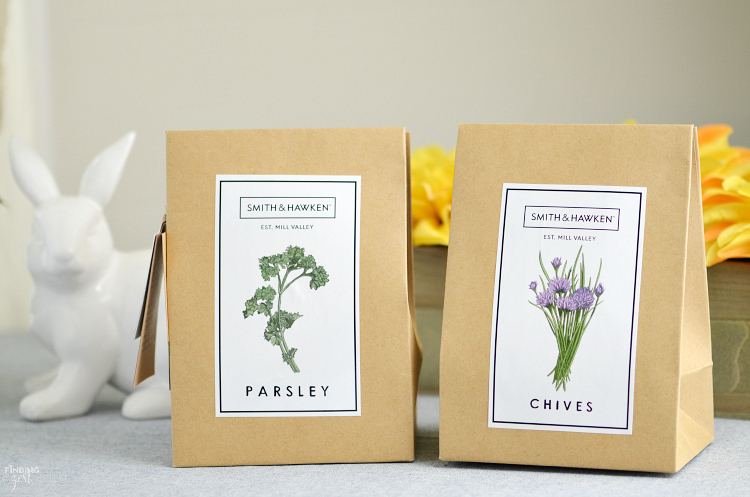 Right now I’m down to only mint and basil so I’d like my other favorites, chives and parsley. I headed out to Target for ingredients. Unfortunately my local store didn’t have any fresh herb plants, but they did have some fun herb kits in the variety I wanted. While I wait for these herbs to grow, I picked up some fresh chives and Italian parsley. I always store my fresh parsley in a mason jar with fresh water. Not only does it extend its life, but it also looks so pretty on my kitchen windowsill! I also picked up some RITZ Crackers, cream cheese and fresh vegetables. 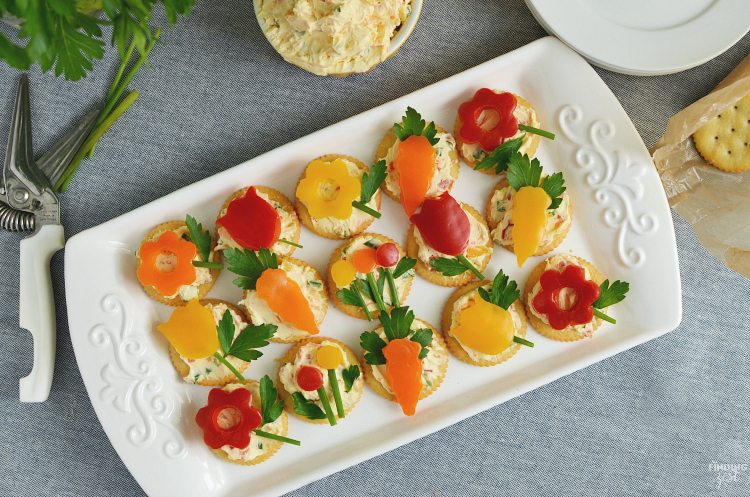 RITZ crackers make the perfect base for this easy spring appetizer. I already had Easter mini cutters on hand from last year, but this 12pc. Easter Cutter Set is similar at Target. 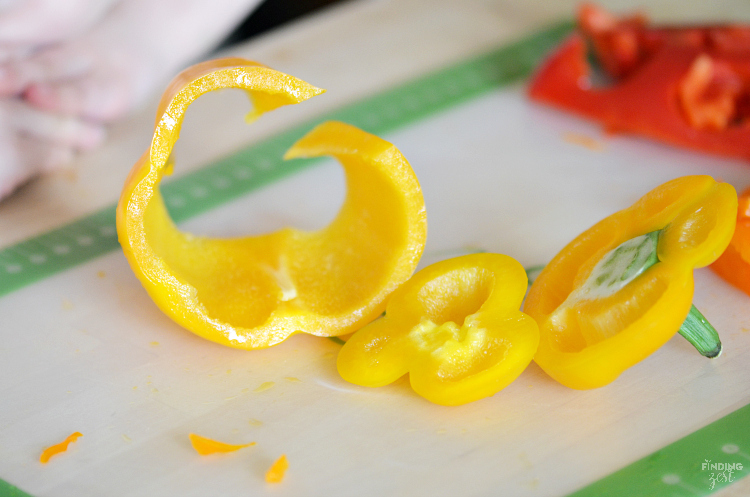 To make this recipe, you’ll want to start by slicing both ends off your fresh peppers so you can have a flat section to cut out your shapes. 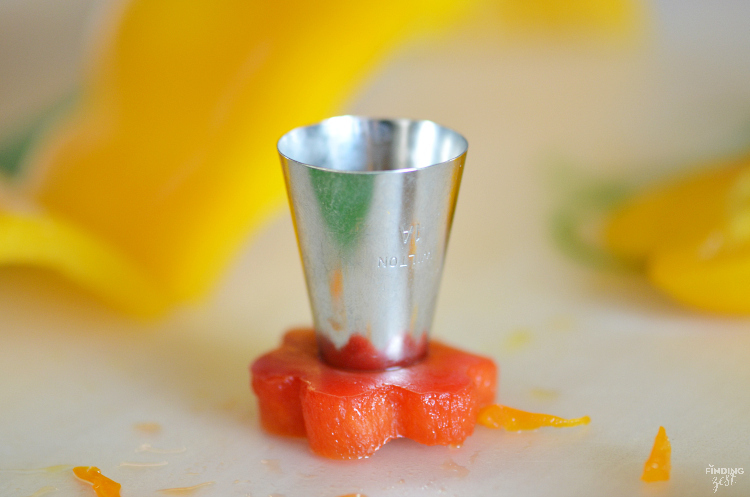 When using the mini cutters, be sure to press down firmly and evenly to break through the skin of the pepper. To remove the center of a flower, I used a 1A metal decorating tip I already had on hand to punch through. You can easily skip this if you don’t have one available. 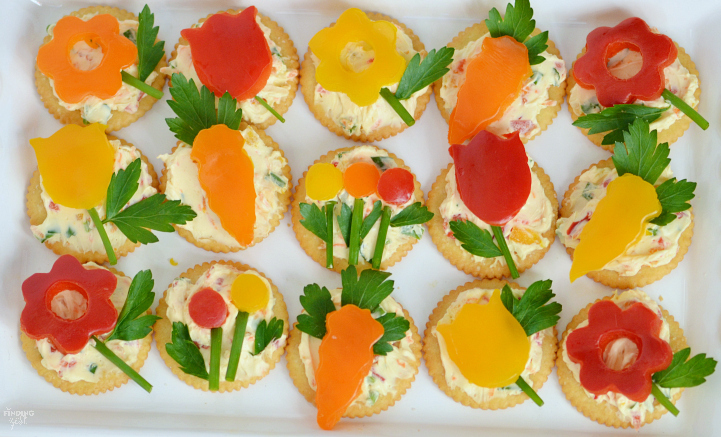 Depending upon how many appetizers you need, this is a great way to create mini flowers as well. I finely diced some of the leftover peppers for my homemade veggie cream cheese. I also added in some of my fresh herbs. 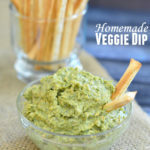 If you are short on time, just a RITZ cracker topped with this homemade veggie cream cheese makes for an amazing appetizer! The fresh herbs, peppers and carrots give it so much color and flavor. Using my veggie cutouts and fresh herbs, I created this spring food art. 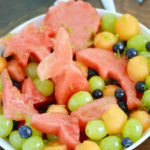 Serve this at your next gathering such as Mother’s Day or a baby or wedding shower. 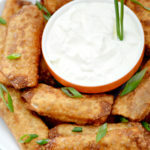 It will definitely win over any crowd and will be a bright spot on any buffet! My son loved how they looked! 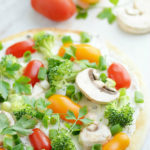 This is such a fun way to get more veggies into your day. 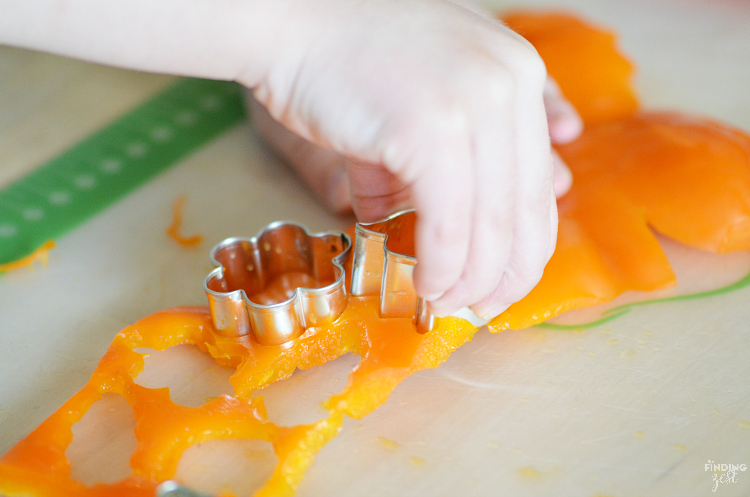 Using small metal cutters, create flower shapes from yellow, red and orange peppers. 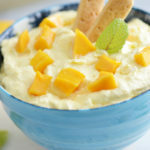 In small bowl, beat softened cream cheese. Finely dice excess fresh peppers to create ⅓ cup. 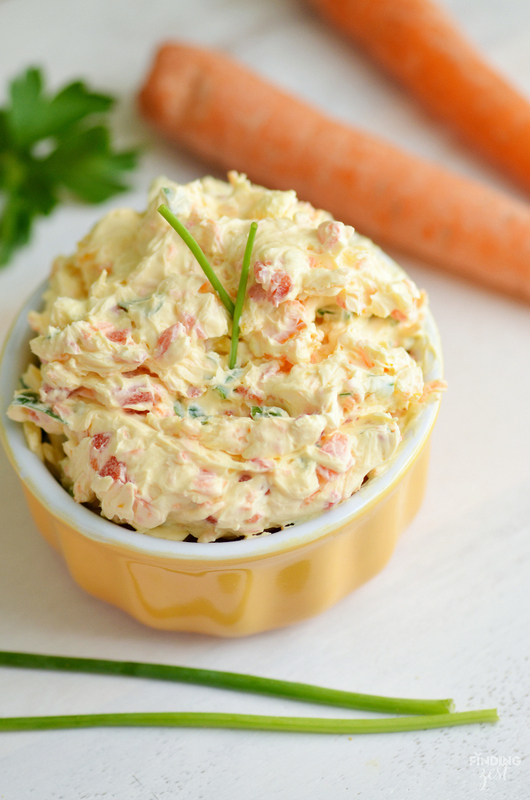 Add diced peppers, carrot, parsley and chives to cream cheese. Beat until well combined. 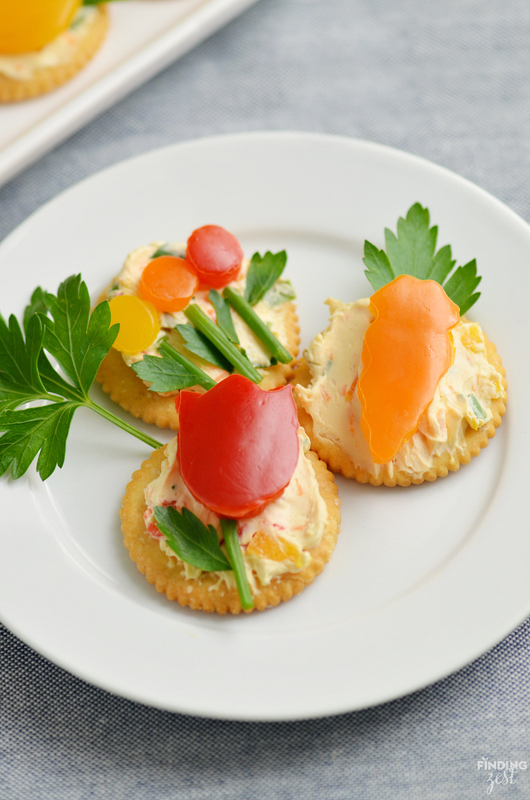 Top crackers with cream cheese. 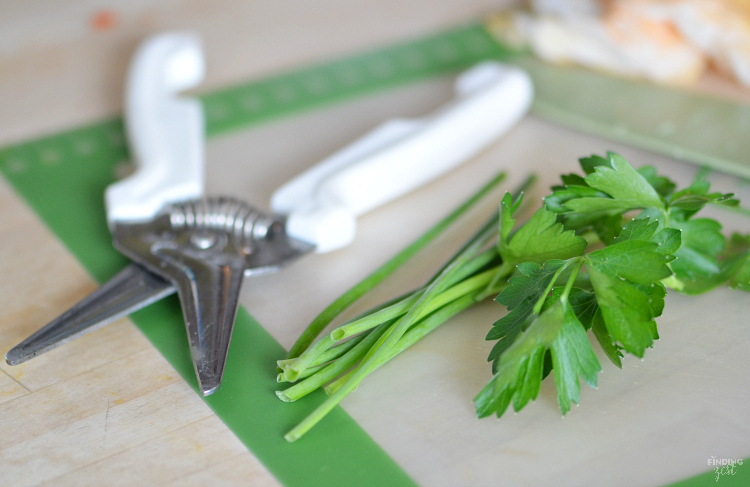 Using veggie cutouts, fresh chives and parsley, create flowers on top. 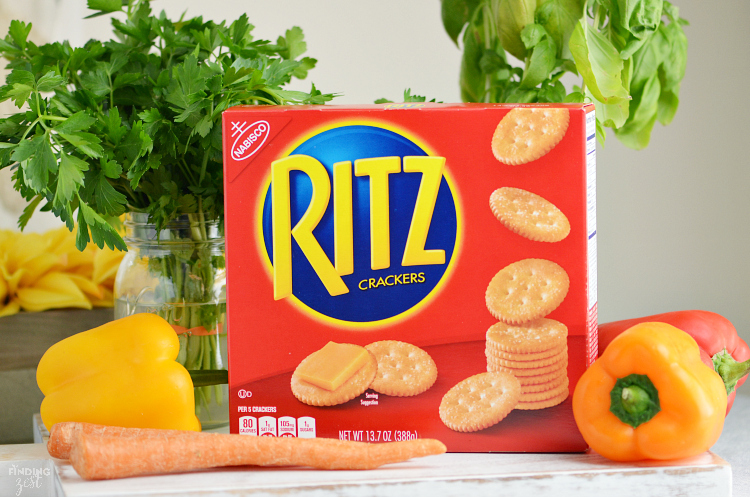 If you need some more great ideas using RITZ, follow this link! How would you plant your own seeds of RITZpiration? 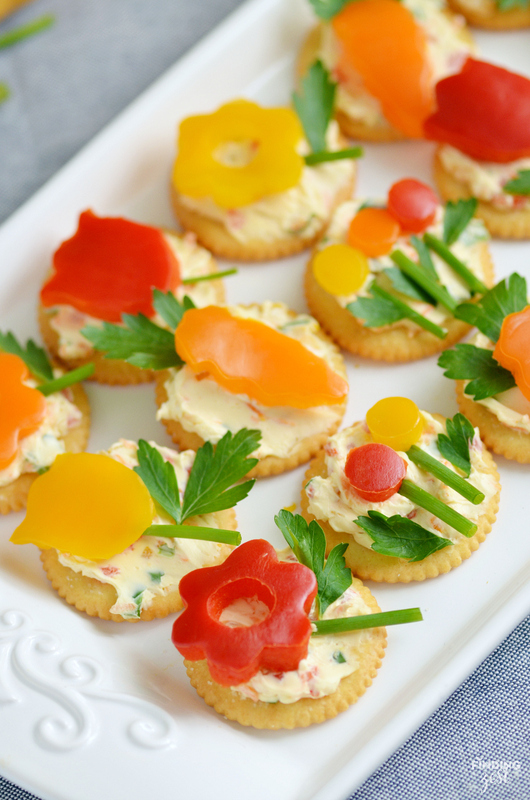 What super cute appetizers these are. They also look so yummy. 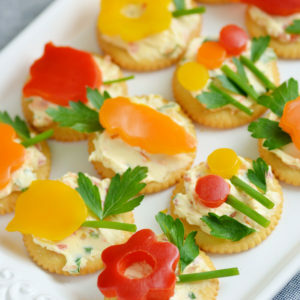 This Easy Spring Appetizer with Veggie Flowers appetizer looks so good, I would like to try it now for summer, out of spring.